April 27th, 2016 Violence In The Valley: Where is it? What do we do about it? 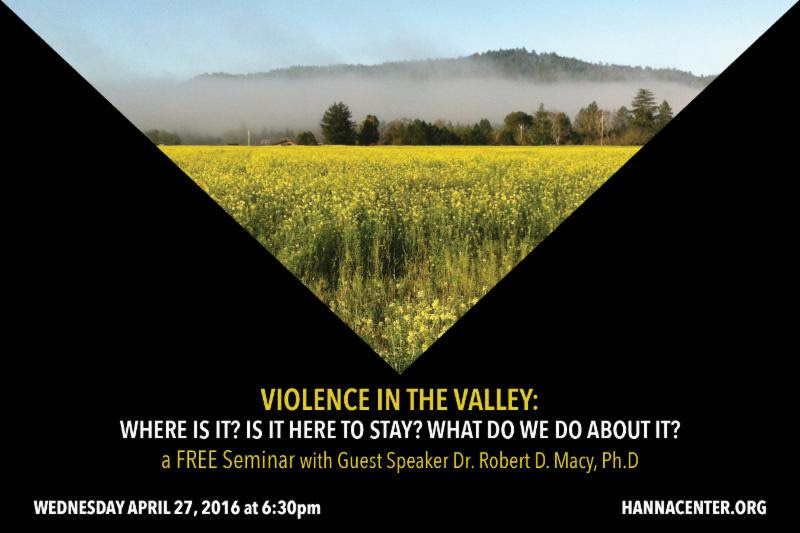 This seminar will include a panel of community leaders facilitated by Dr. Robert Macy, Ph.D to explore violence in the Sonoma and Napa Valleys. Small audience discussion groups will work on themes of violence reduction, and feed back the results to the panel, which will formulate with the larger audience, approaches to identifying and intervening in violence in the valley. This will be a FREE seminar. We hope you will be able to join us at this or any other FREE seminar we’re offering this coming year!